Make sure you check out Mr. Carlson’s YouTube channel, Mr. Carlson’s Lab where you’ll find repair videos ranging from solid state to tube gear. 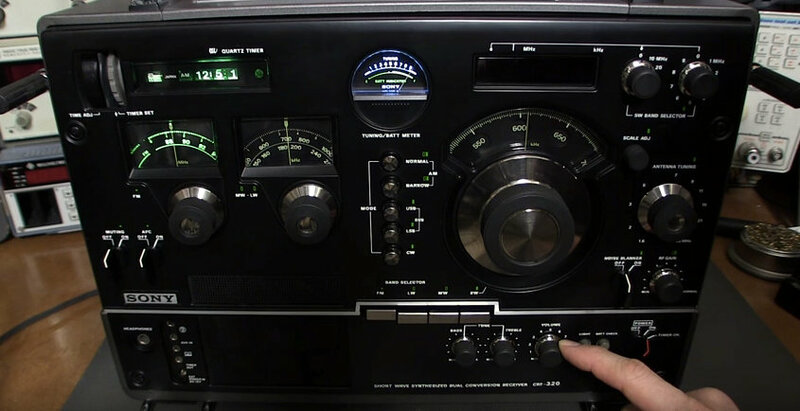 This entry was posted in How To, News, Radio Modifications, Radios, Shortwave Radio, Videos and tagged CRF-320, Ken McKenzie, Mr. Carlson's Lab, Radio Repair, Sony, Sony CRF-320, Sony CRF-320 Repair on May 7, 2016 by Thomas. Ken McKenzie’s radio story is the latest in a new series called Listener Posts, where I will place all of your personal radio histories. If you would like to add your story to the mix, simply send your story by email! My interest started somewhat like yours in that I “discovered” the family’s old WW2 Viking console radio in the basement. Besides the AM band it had 3 SW bands. The Viking brand name was made for a large coast to coast Canadian department store. It still had the required license glued inside from the WW2 days. I attached a 20 or 30 foot piece of wire to the antenna terminal and draped the wire over the back stair railing. Within 2 or 3 minutes I was listening to an English language broadcast from Japan. So, I got my dad to help me drag the old gal up to my attic bedroom. For the next 10 months or so every spare moment I had I spent spinning that dial. 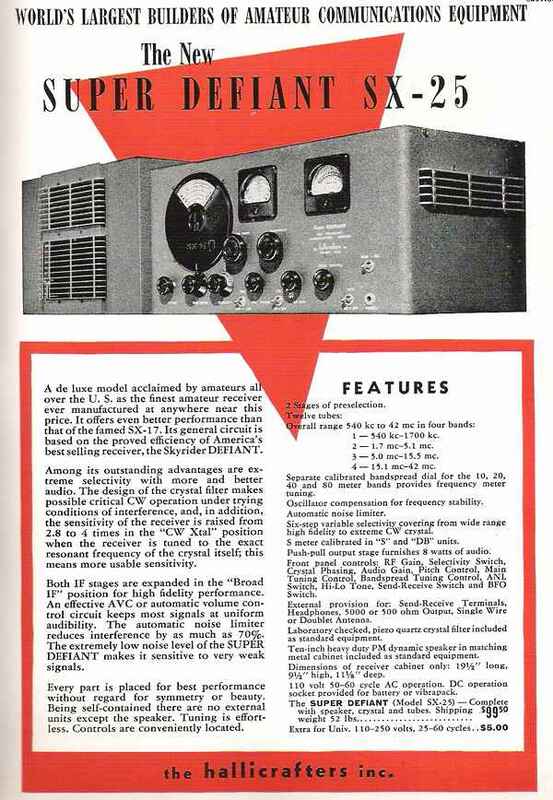 Then about the Christmas of 1960 or 1961 my parents gave me a used Hallicrafters SX-25 Super Defiant. My dad had a customer who was a Ham. He asked him if he new of a shortwave radio he could buy for his son. Turns out VE7FC was selling the SX-25. He had won a contest with it. The winner was the 1st Ham to work a particular Antarctic station on CW. Someone had added voltage regulation to the SX-25 so it was a bit more stable than stock. For the next 15 years I was glued to that Hallicrafters! Then one day there was a short in one of the capacitors and the whole chassis went hot with 380 volts. I unplugged the old girl and put her away as at that time I just didn’t have the money to fix it. I knew replacing one cap wasn’t the answer. I knew most had to be replaced. That was a BIG job and over my head at that point. Then with a new job my fortunes changed and in 1989 just as that wonderful sun spot cycle was on the way up I bought myself a Kenwood R-5000. Well you can imagine how that changed the game! Now I have a little FiFi SDR to play with and am looking long and hard at a QS1R or an Excalibur or Excalibur Pro….still gathering data. SO many advantages when chasing DX. Many thanks, Ken, for sharing your story! This entry was posted in Listener Posts, Nostalgia and tagged Ken McKenzie, Listener Posts, Radio Stories on October 25, 2013 by Thomas.